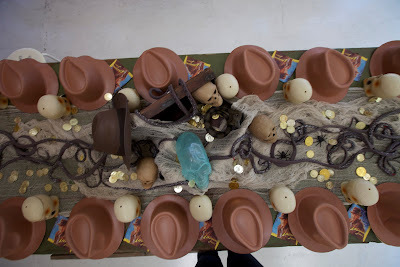 Oh Indiana Jones! Who doesn't love Indiana Jones? (or Harrison Ford, for that matter!) No one I know! We were super excited to host our first ever Indiana Jones party at the COOP this past weekend. 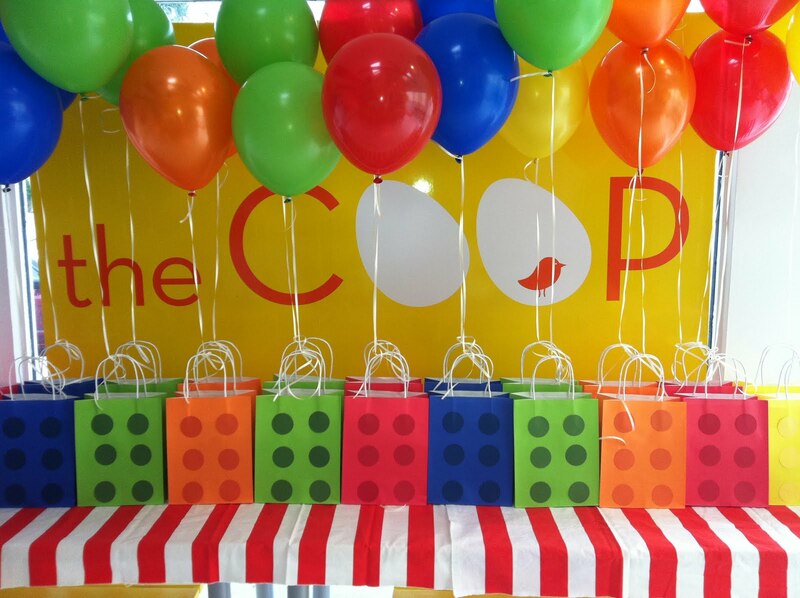 It was for another one of our fabulous multi party mommies -- she actually has another COOP party coming up in about a month! 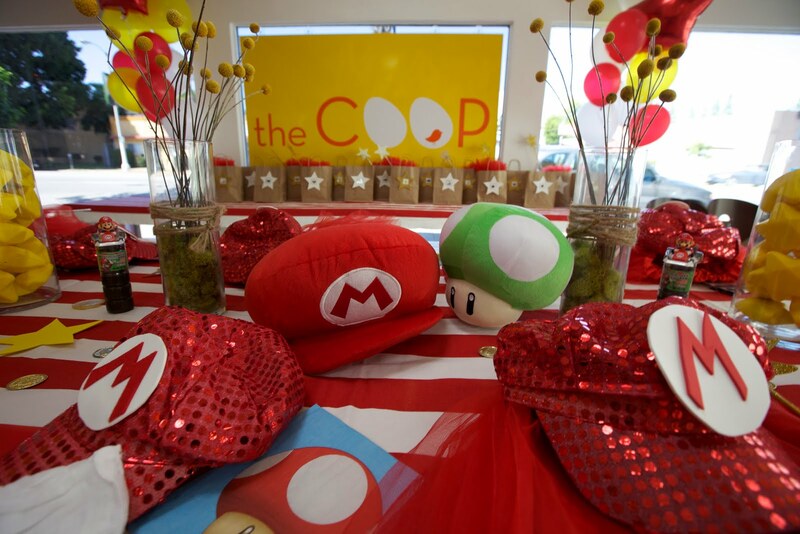 We love that kind of COOP love! 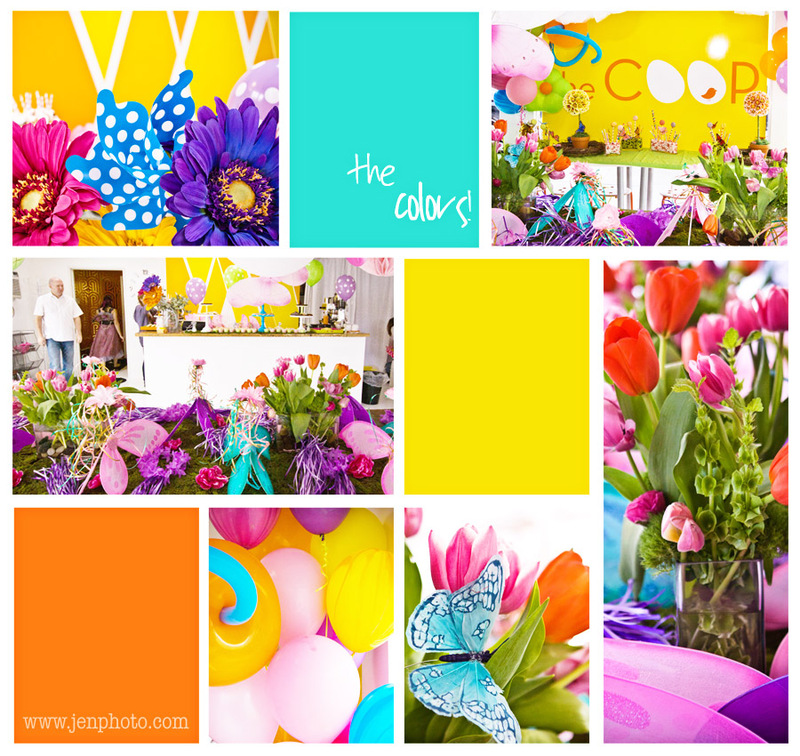 We wanted to make the party super fun and fabulous -- and I think we did just that! The table was straight out of the Temple of Doom -- strewn with giant rubber snakes (everyone got to take one home as well!) a treasure chest overflowing with coins, spiders, and the remains of a few brave souls that dared enter before us! I LOVED how it all looked with the torn cheesecloth table runner. 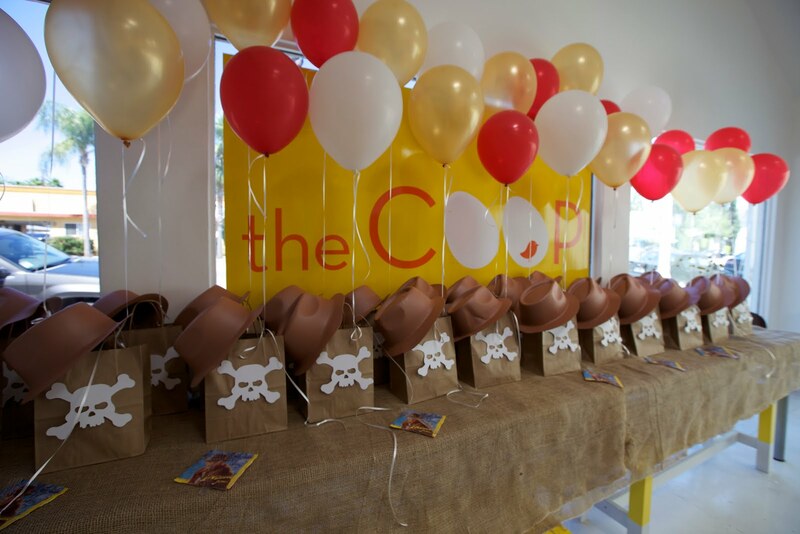 The back table was swathed in burlap and held the goodie bags. We stuck with our simple kraft paper bags with the stark white skull emblazoned on it. Very graphic, very cool. 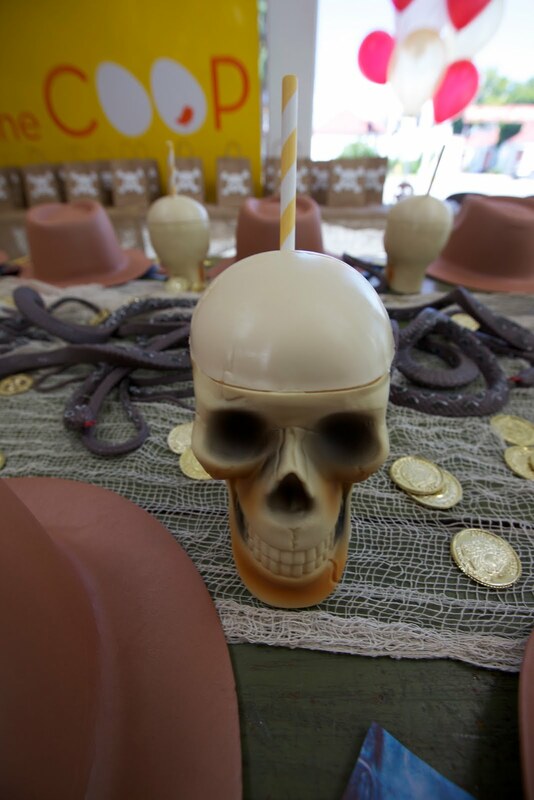 The main table was covered in Indy hats and skeleton cups for all our mini adventurers... and as I said, they all went home with them and a super wiggle giant rubber snake at the end of the party. 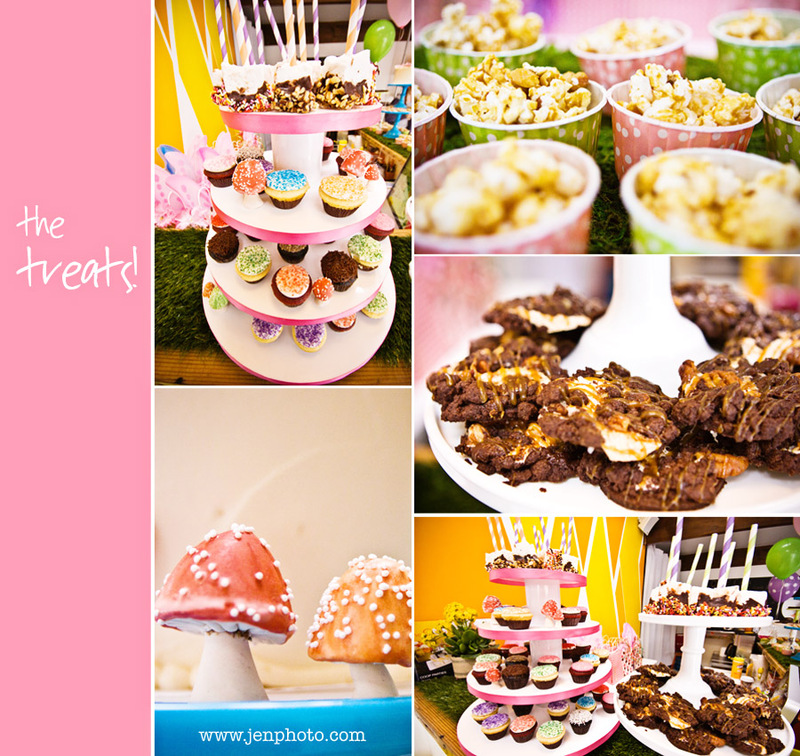 It was a wonderful party for a great family.... who we will see again VERY soon! One of our most fabulous mommies just held her daughter's party at the COOP this weekend -- and she went with a SUPER MARIO theme. Mom couldn't quite understand why the birthday girl chose the theme, as she never knew her daughter to PLAY Super Mario -- but then her daughter explained that she played (play acted) Super Mario with the boys at school a lot! So cute. I think she was picking her theme based on what the boys like! She and her party are sure to be the talk of the boys in class after this shebang -- and I suspect that was EXACTLY the point! She is so cute! The first Super Mario party we ever did was for my son Finn a couple of years ago -- I included pics of his cake and the "magic mushroom" flowers I did for HIS party here as well... just to show off! Ha. 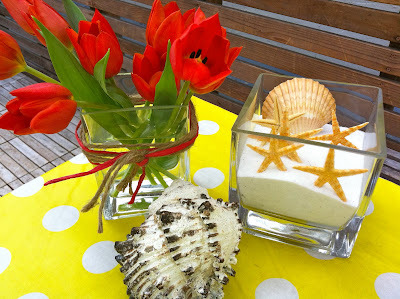 We used the striped red and white table runners and did gold coins and stars scattered about on them for a little extra punch. The tall vases held the squishy stars that were included as part of the take home gifts. 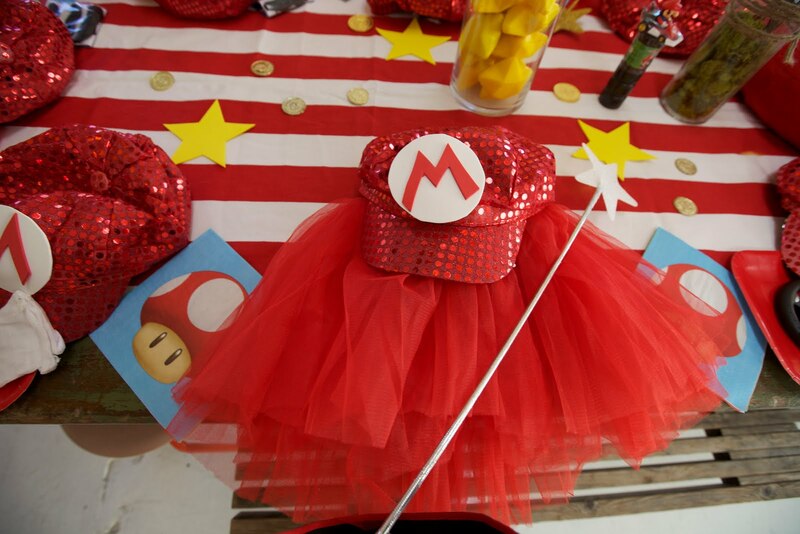 The kids also got red glitter Mario hats (Lucy and I actually handmake the M logo for these every time we do a Mario party!!) white cotton gloves, and sticky mustaches for all --- and the girls get a red tutu and the boys a water race game. 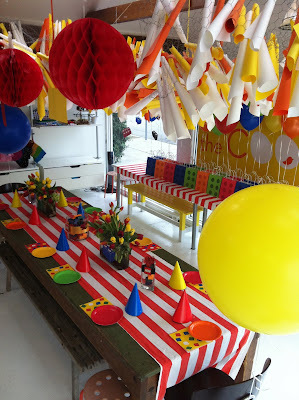 It is such a cute party. 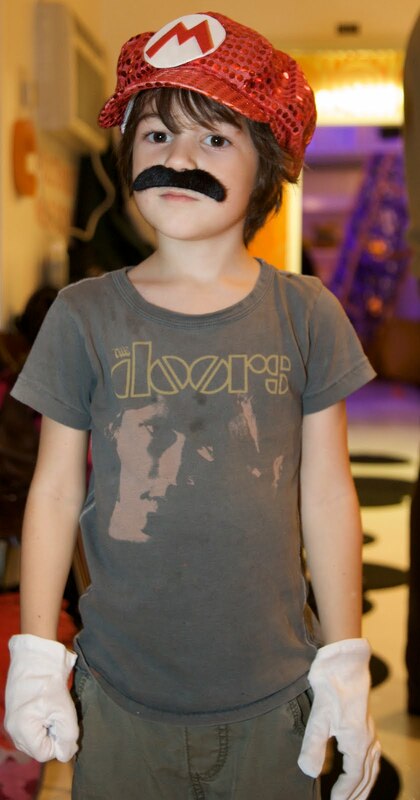 I just LOVE how the kids look with their mustaches and hats! 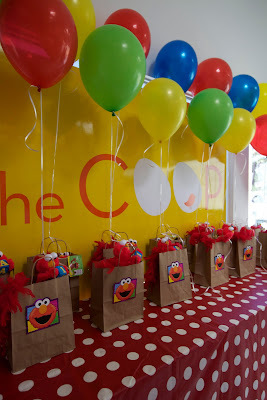 And -- to be honest -- these gifts are also ALWAYS a big hit with the parents. Every time we do a Mario Party, there are more than a handful adults waltzing around with their sticky mustache and Mario hat. It's a fun one for the whole family! 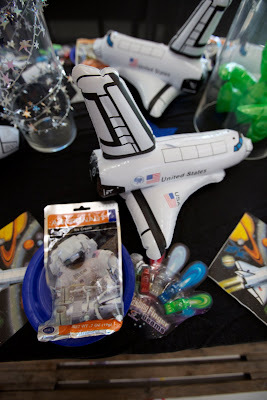 Check out our recent SPACE party that we hosted this weekend. 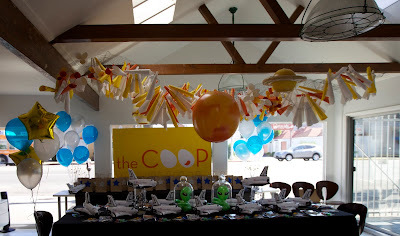 We generally hang planets and a few stars when we do any sort of outer space party -- and this was no exception. We hung a few planets, wrapped some vases in star glitter wire and placed some fabulous inflatable spaceships on top for table decor. We even threw in a couple of inflatable alien specimens - ready of their close up under the glass bell jars - on the main table. The kids all got Astronaut Ice Cream( I can still taste that distinct taste from visits to the Air & Space museum when I was in Elementary school! ), Laser fingers and an inflatable Space Shuttle. WE just did simple black tablecloths and scattered them with same stars that we used to decorate the goody bags. 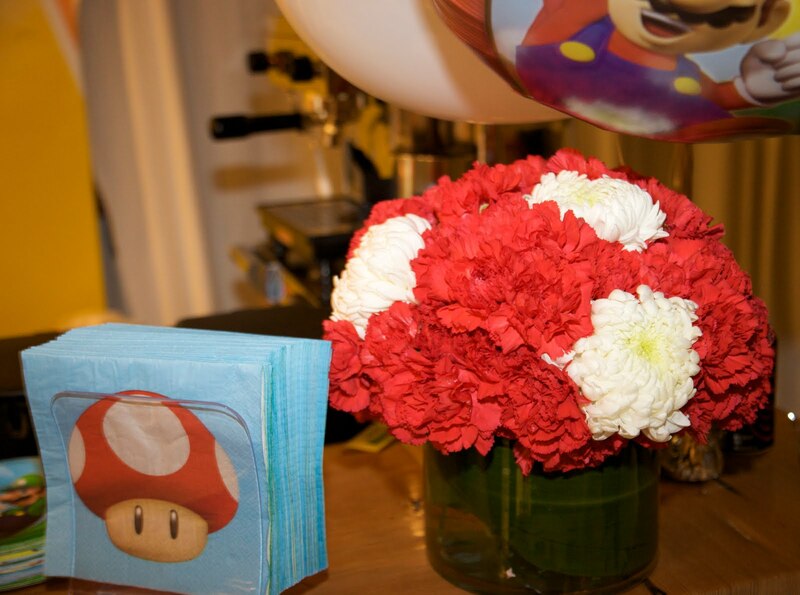 It makes for a cohesive cool look, that was big hit with our BDay boy. I love SUMMER. 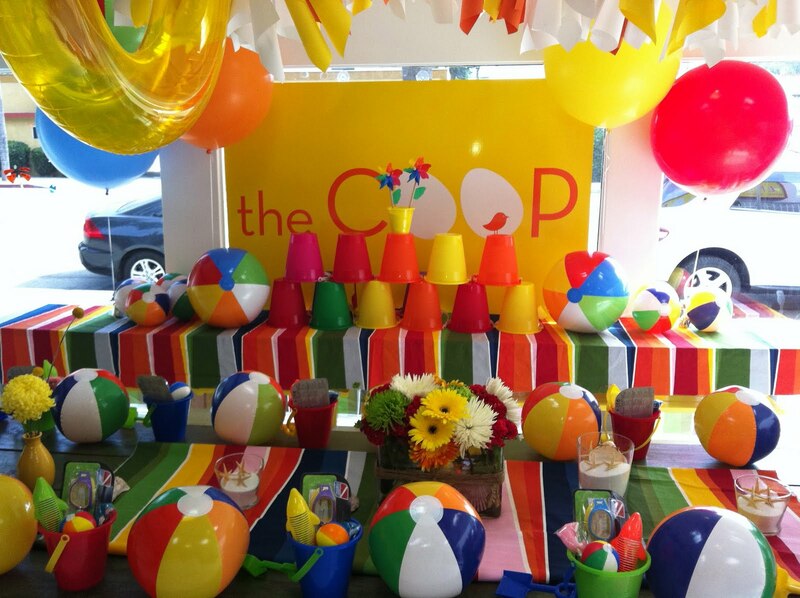 Nothing screams summer like a fabulous Beach Ball Party: so bright, so cheerful, so FUN. It was such a joy to put this Beach Ball Party together ( well, everything except blowing up all those balls )! I thought it would add something special to hang balls from the ceiling, as well as pool toys. 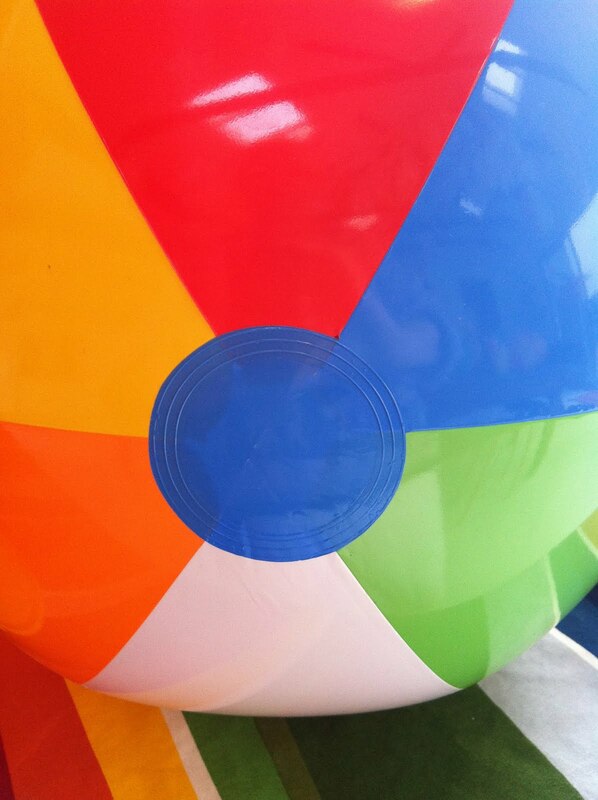 We even had plenty of beach balls in our ball pit. Needless to say, the party went swimmingly and everyone had an absolute blast. We have had a few LEGO Parties at the COOP over the past few years and I have loved them all. 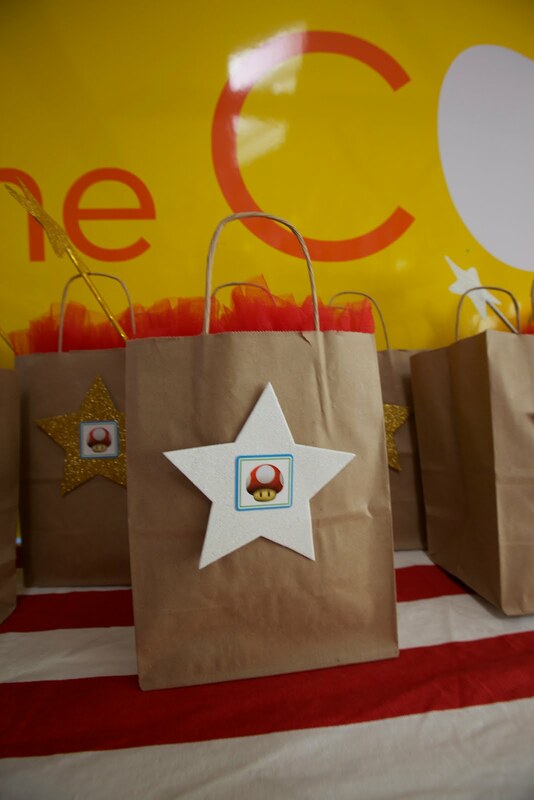 This one was especially fun as I decided to make all of my own LEGO inspired bags and decorations. The super sweet mom of the birthday boy has been a loyal COOP momma since we opened and this was her son Alex's third party with us so I wanted to make everything perfect. Lisa wanted it to be colorful and bright and not too LEGOish. 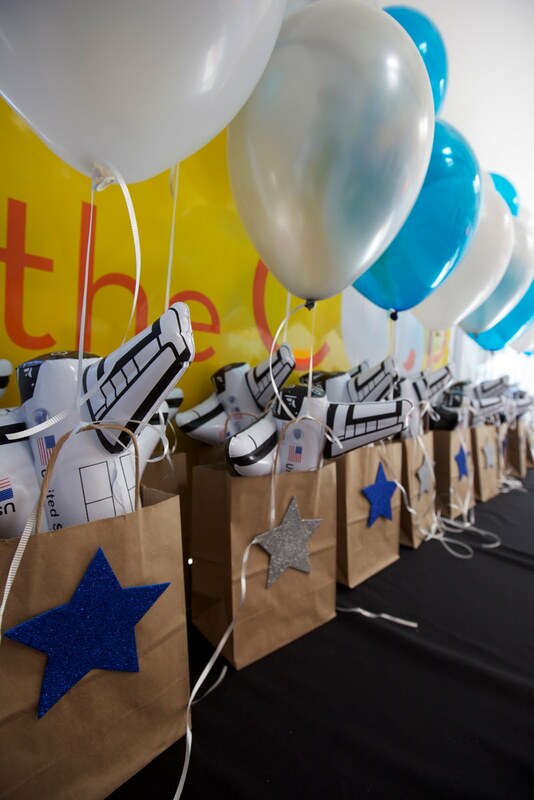 I created the bags very simply by cutting out circular pieces of paper stock and gluing them onto the gift bags to create a LEGO look. I also made large LEGO blocks to hang from the ceiling. The gift bags were made up of; a LEGO set, a huge bounce ball and super cute LEGO figure chocolates. I can't wait to see what theme Alex picks for his sixth birthday. 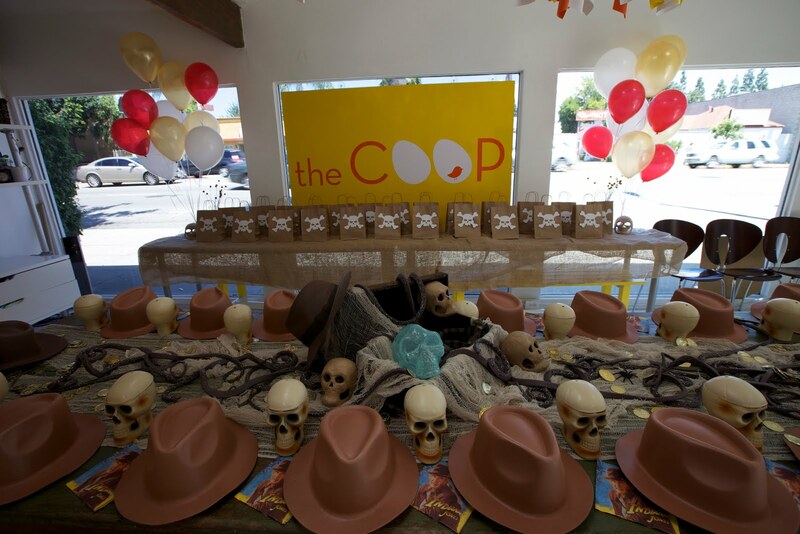 It was so much fun to design and work with the very patient Luis at Jungle Jumps in creating this one of a kind COOP bouncer. I love the huge CIRCULAR (very COOPish) windows and the skylights which make the interior so super light and bright. 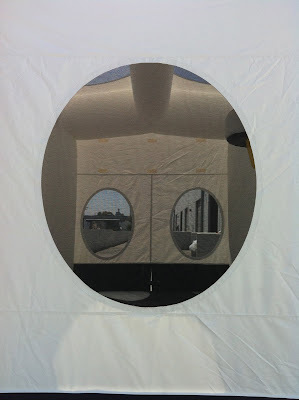 Using white as the base color is so brilliantly unexpected and just when you think it couldn't get any cooler we had them install a basketball hoop for an extra bit of COOP FUN! 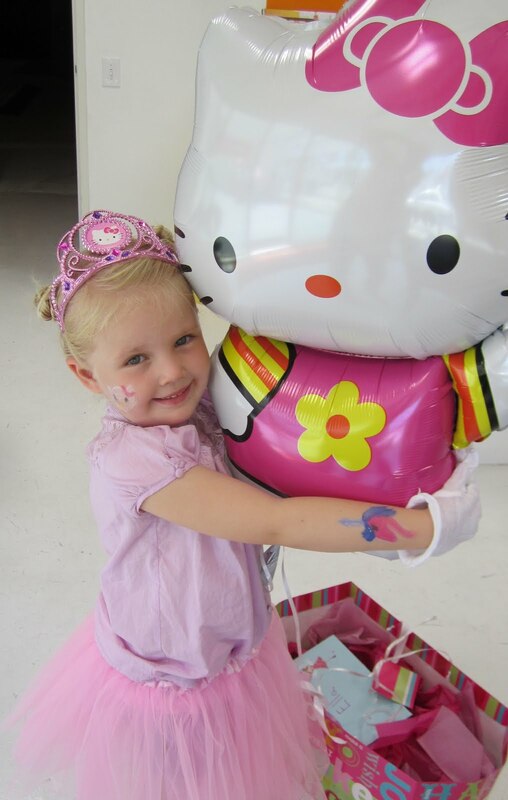 I couldn't resist posting yet another Hello Kitty party once I saw this adorable picture of our birthday girl Ella. I also loved how this Hello Kitty turned out with just the right combination of pink & purple - gorgeous flowers and wonderful guests. The little girls LOVED their super COOP party favors of tutus, gloves and Hello Kitty tiara's. The boys were equally thrilled with their dog inspired gifts and I think the sweet smile on Ella's face demonstrates how happy the birthday girl was! I was so happy with how this party turned out! 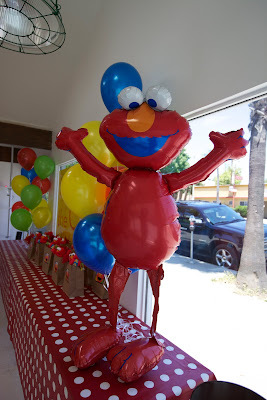 We have done Elmo parties in the past -- but I am really proud of how this one came together. We had a giant Elmo "air walker" balloon greeting guests as they were welcomed to Elmo's playground on Sesame Street. 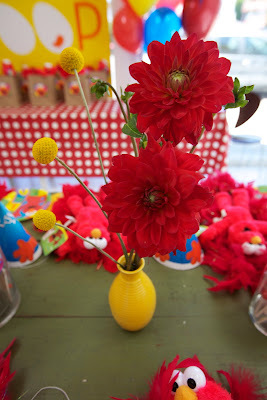 I left the table bare -- i think it is such a gorgeous table on it's own -- and added the red Dahilias and billy ball arrangement in those bright yellow vases -- it such a great look! 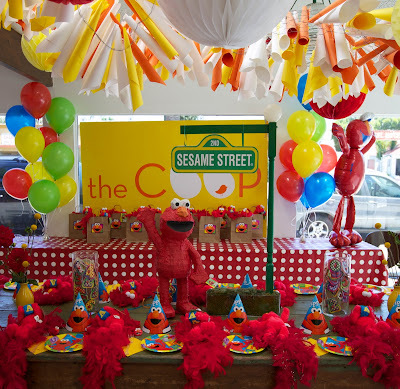 The centerpiece was a giant Elmo Pinata waving standing under a Sesame Street sign that I made! I was so so happy with how it turned out. It a banister pole from home depot!!! I simply (or not so simply as it turned out!) 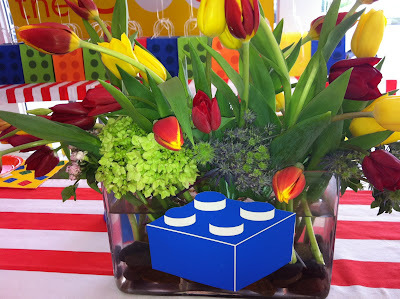 added a top piece to -- sprayed it Sesame Street green and put in a vase filled with moss. Oh -- and you can't see it in the picture -- but I glued a white COOP ball bit ball on top -- to make it look like a light! It's really the whole reason for this post -- I just LOVE it!!! 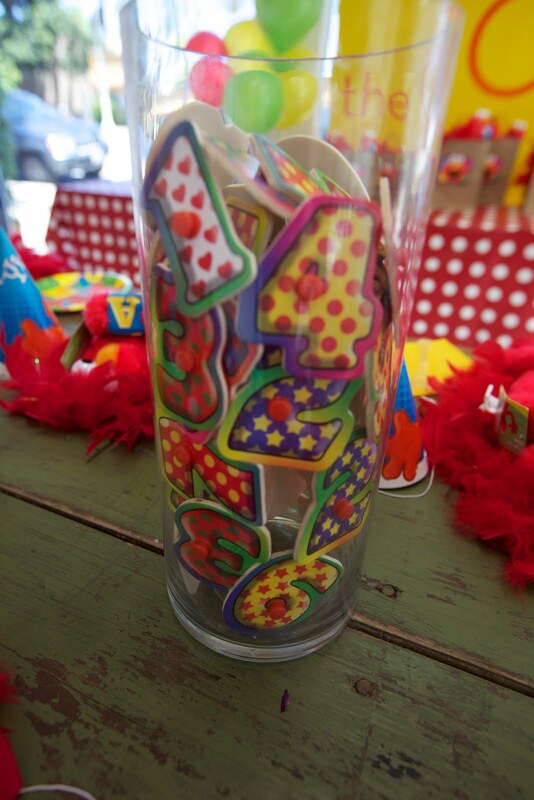 Something else "new" for this Elmo party were the tall vases filled with bright colorful letters and numbers (they are actually pieces from wooden puzzles from the dollar store!) 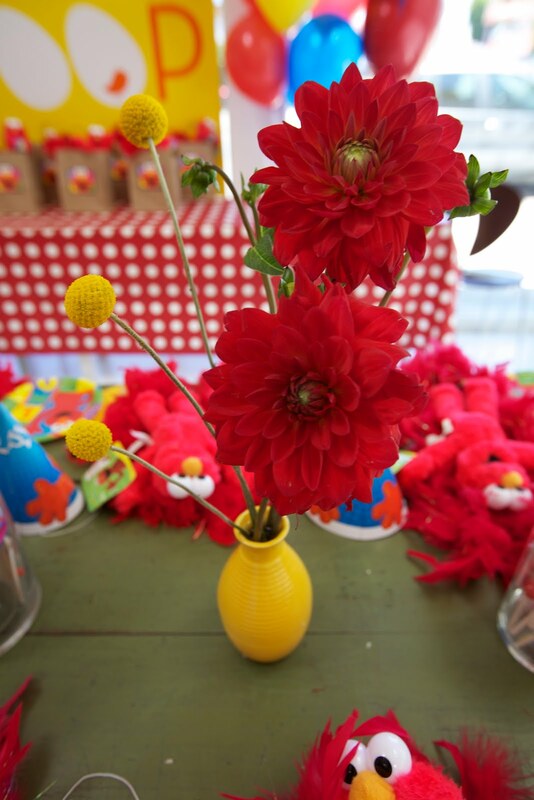 I thought they looked great -- and were a nice nod to the educational element of Elmo and all his buddies. 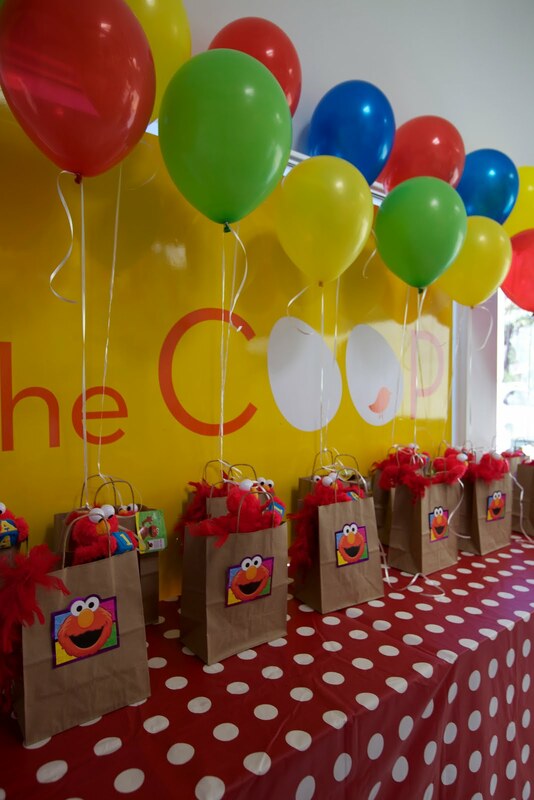 Everyone got some cute branded Sesame Street coloring books, Elmo rings, a red boa and a super adorable Stuffed Elmo doll. It was so great. And mom was sooooooo happy. She just kept saying it looked better than she even imagined it would be! Music to our ears!! 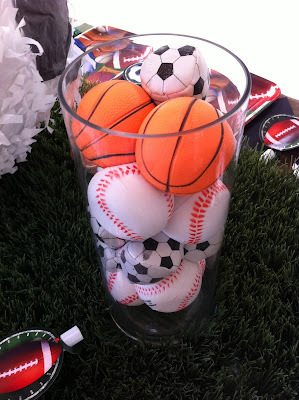 Did a super cute party this weekend for a little guy who loves any and all types of sports balls! Footballs, Soccer balls, basketballs, baseballs -- he loves them all equally! So we didn't want to limit the party to just ONE sport -- and we went all out with all kinds of balls! 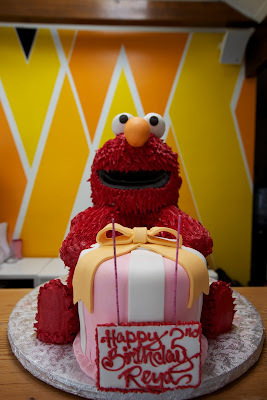 It looked so adorable. 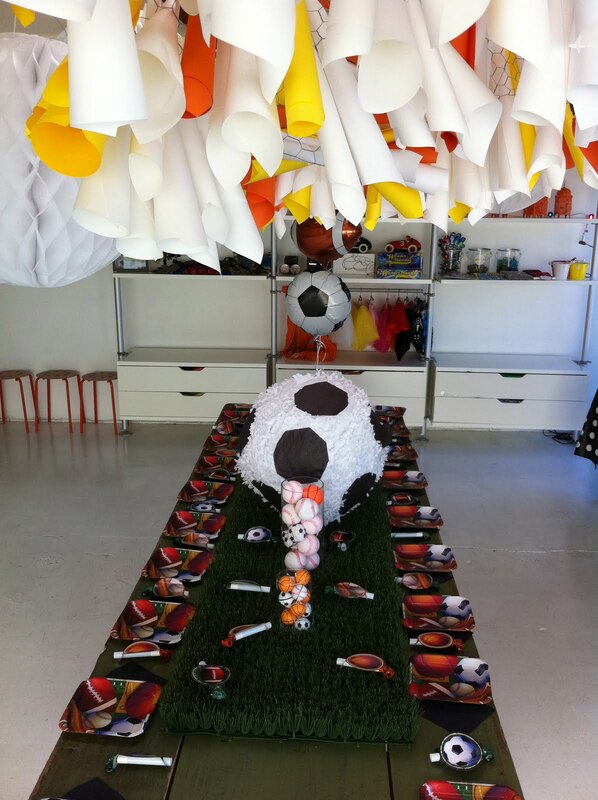 Similar to the Dodgers party we did recently - we did grass on the tables and the vases filled with balls... and a giant soccer ball pinata centerpiece. Mom told me she was getting shirts made for all the kids -- and I came up with the idea to hang them on a "clothesline" along the retail shelves for major impact. It was such a hit!! Mom was so cute -- her sister usually does all her parties and she was sooooo worried to helm this one on her own. She trusted us to do our thing -- but was a wee bit nervous about it! She kept saying she just wanted to be sure the party wasn't cheesy! I assured her that we NEVER do cheesy at the COOP! We keep it simple, bold and fun -- but never (i hope!) get sucked into the cheesy realm! I am happy to report that she was thrilled -- and her sister (who flew in the night before the party!) must've said at least a 100 times how she picked the absolute PERFECT party spot and everything looked spectacular. 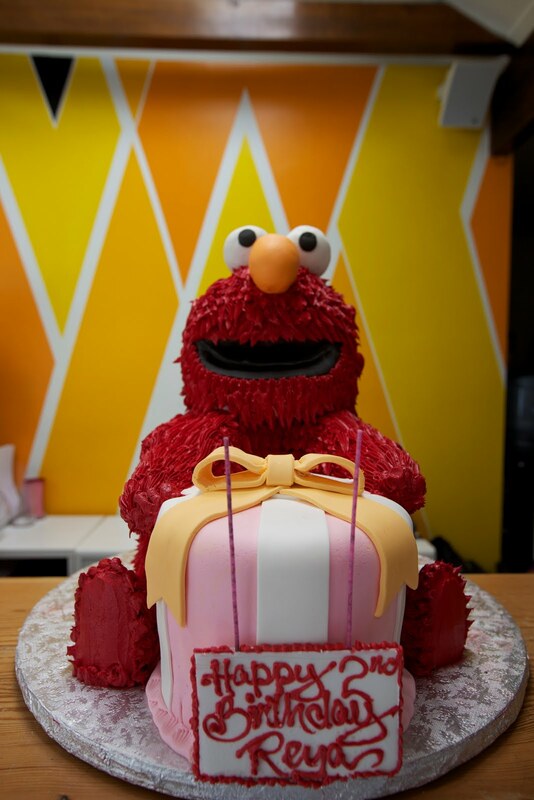 Oh -- and most importanly -- the birthday boy was over the moon! So often after putting together a party at the COOP I feel that the pictures I have taken just don't do the beauty of the actual event justice - (probably why I don't earn a living as a photographer!) 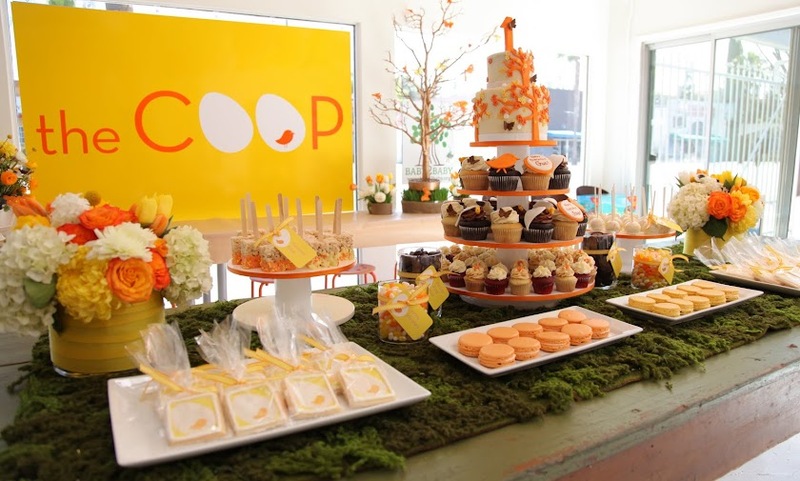 Which is why I was so thrilled to receive an e.mail from the uber talented photographer Jennifer Wilson that she had posted pictures on her blog of a party she photographed at the COOP. SO GORGEOUS! 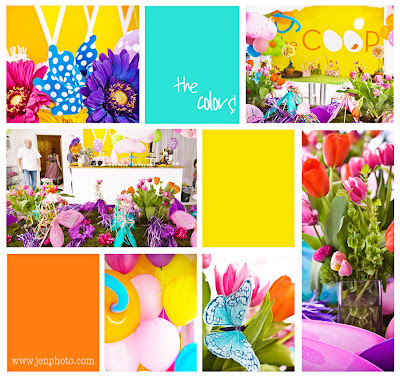 It was fairy wonderland at the COOP that rainy day with vibrant colors and fairy wings everywhere you looked. The beautiful Lily who was turning six was in fairy heaven. If you need more pics go to www.jenniferwilsonphoto.com/blog.